Sensors like the TCS34725 from Adafruit can detect a single color. It stands to reason then, that if you were to aim this sensor at a multitude of points and record the resulting data, you could have a one-pixel camera. 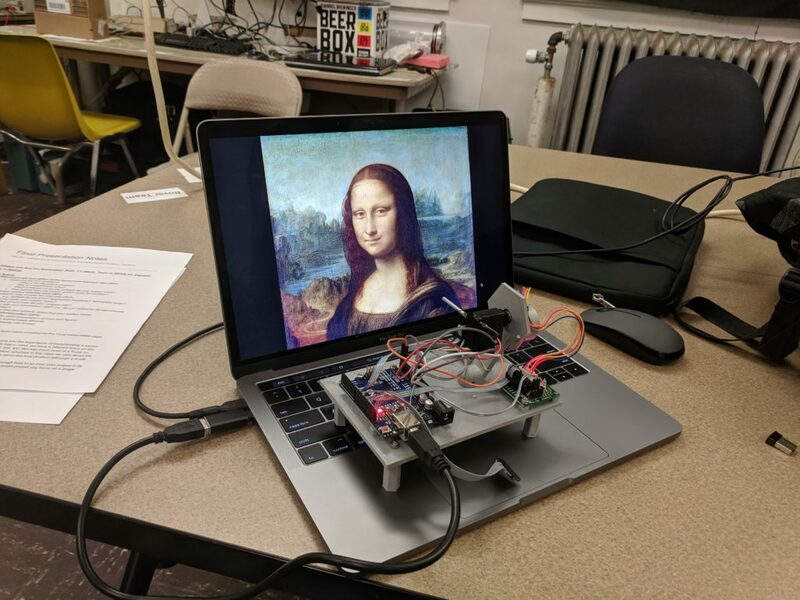 As seen here, Tucker Shannon decided to take this concept and run with it, constructing his own with an Arduino Uno and a pair of stepper motors. The device looks like something akin to some sort of auto-turret, and directs the sensor in a square spiral for image acquisition. The resulting pictures are certainly low-res, but good enough to pick out recognizable forms with a little imagination. The color sensor tells the Arduino what color it “sees” at any given time. By pointing it at every single point within a field of view, I can record these colors and use them later to reconstruct an image. Using two stepper motors, the camera points the sensor at every “pixel” within the photo and records what it sees. It uses these values to “paint” a picture of whats in front of it! Components include: 1x Arduino Uno, 1x Adafruit RGB Color Sensor TCS34725, x2 BYJ-48 Stepper motor with drivers, x1 3mm OD aluminum tube, x20 M3x6mm fasteners. Alternatively a photoresistor can be used in place of the RGB sensor for black and white photos! Code for the project can be found on GitHub, and print files are on Thingiverse if you’d like to build your own! The soda fridge sits on an analog scale with a dial. [Paul] saw there was no need to measure the exact weight of the fridge, only to detect a refill threshold. 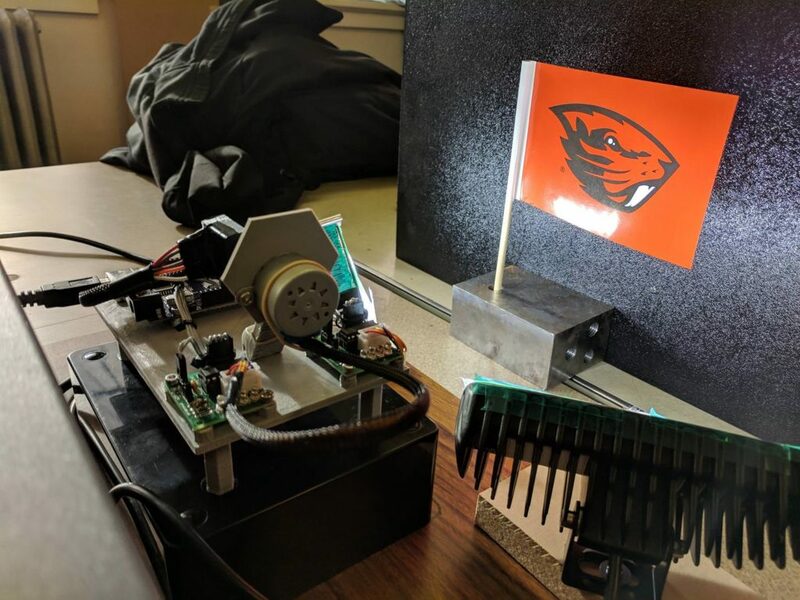 He came up with a simple hack: colored paper attached to the scale’s dial and an Arduino with an OSEPP COLOR‑01 color sensor pointed at the paper. The dial moves in response to the fridge’s changing weight, and the color sensor reads the color of the paper as it moves under the sensor. With a little bit of trial-and-error calibration and some barely modified sample code for the sensor, it was possible to reliably detect when the fridge required refilling. With the sensor done, it was time to use it to solve the lazy people problem. In a way, the root problem wasn’t that people couldn’t be bothered to check if the fridge needed a refill – it was that the right people weren’t finding out at the right times. This resulted in spotty refilling as well as soda not being ordered when needed. This hack means that the fridge can now actively announce its state, which now allows things like notifying people via email that it is their turn to refill and re-order. It turns out that a fridge that can tell people what it needs has a much better chance of being serviced, compared to a one that has to wait for people to check up on it. We’ve seen people interface directly to the load sensors in weight scales before, but this hack took a completely different approach. Thanks to [Paul] for sharing.